(Newser) – Robert Mueller's investigation into Russian involvement in the 2016 presidential election may be inside the White House soon. NBC News reports that Mueller has enough evidence to bring charges against Donald Trump's former National Security Advisor, Michael Flynn. Last week Mueller charged former Trump campaign manager Paul Manafort and his business partner Rick Gates and revealed that a former Trump campaign adviser had pleaded guilty to lying to investigators and was cooperating with officials, but Flynn would be the first Trump administration official indicted in the investigation. 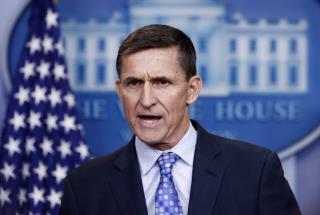 Sources say Mueller also has enough evidence to charge Flynn's son, Michael G. Flynn. He took the 5th earlier meaning they'll getcha later. They did! The real question is why they haven't indicted him sooner.